28 maj, 2014 Säg något! Where do you get the time too do all the stuff you want to do? For the past couple of weeks there has been a lot of stuff for me to do at work, don’t get me wrong I love that. Because I love my job, so its fun. And I’m frequent at the gym too, and that takes it time. But I’m not working this weekend so I can get some time with my games at least, but then there is the other “problem” or “i-lands problem” as we say here in Sweden. If I get my copy of Drakengard 3 on Friday, I want to play that. 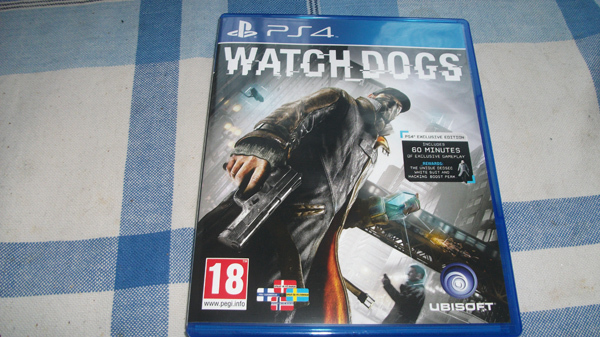 But then I have Watch_Dogs also… And I don’t like shifting my attention between games, I want to be 100% focused on one game at a time. Yeah, what a dilemma. Sure it’s not a life changing choice, nothing will be better or worse no matter what I choose. But when you are limited for time and want to spend that on your hobby, you really have to pick at the seams. It’s not just videogames that suffers, I would like to write more. I really enjoy writing, even with my dyslexia. I try my hardest to form the correct words and to be able to write down what’s inside my mind. That’s why I would like to continue to write my own fantasy story, and I’d like to continue to write more stuff about “The Saga“. But I can’t get the peace of mind to sit down and write something more serious with details when I know I want to do other stuff. But like everything else they need planning and again… For that I need time, so if anyone have some good time management tips, please feel free to post them! In about three weeks my vacation finally starts and I hope, I can get some of this stuff out of my system. At least I can do some catching up on the gaming part and I have so many other projects I’d like to do. Hopefully some of them will actually turn into reality. But there are so much talk about what me and some friends should do this summer and I’m realizing right now that it’s really stressing me out. Firstly I don’t now how much cash I’ll have and if we are going somewhere I’d like to have cash to buy stuff. And all this will of course take time, its time worth spending with my dear friends. I love them all, but it it still stressing me out a bit. But it’s only stressing because I want to do so much, so I know I have to narrow some stuff down and take it easy. But it’s easier said than done I’m afraid.